There are currently 110 people online. 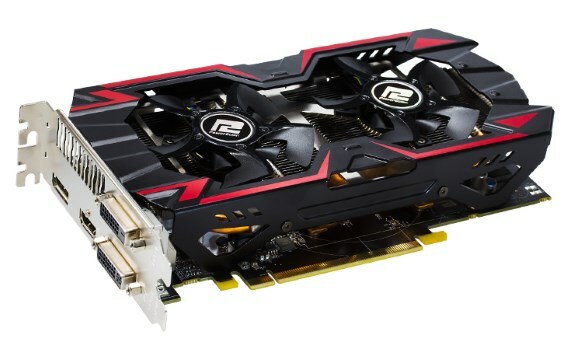 PowerColor announces its PowerColor TurboDuo R9 285 2GB GDDR5 OC. This Radeon R9 285 based card features a custom, dual-fan cooling solution and offers a 945MHz core clockspeed and 2GB GDDR5 memory clocked at 5500MHz. TUL Corporation, a leading manufacturer of AMD graphic cards since 1997, announces the latest model, the PowerColor TurboDuo R9 285 OC. This card will be offered a cost-effective choice for those who are looking for the best bang for their buck. The new TurboDuo R9 285 OC comes packed with the latest GCN architecture innovations like Direct® 12 and Mantle API. Ensuring that gamers can play the most demanding games at settings better than any other card in its class. Equipped with 2GB of GDDR5 memory, the TurboDuo R9 285 OC comes overclocked from the factory to the core clock speed of 945MHz, and 1375MHz for the memory clock speed, giving gamers blazing fast speed while gaming. In addition to factory default OC setting, the TurboDuo R9 285 OC takes advantage of PowerColor’s exclusive Gold Power Kit, which includes total 7-phase design, PowerPAK SO-8, and SVI2 Green Power Manage technology, ensuring stability for its OC setting. Packed with the TurboDuo cooling technology, the new R9 285 features dual 80mm fans along with patented Double Blades fan design which generates up to 20% extra airflow, providing efficient thermal dissipation. The heatsink comes with a 3-piece U-shape heat pipe design that directs heat away from the GPU rapidly. Furthermore, the pure copper base fully covers GPU, offering the best heat transfers available. But that is not all, this graphic card is loaded with the latest advancements in GCN architecture. Users are able to experience TrueAudio technology, which is the first discrete GPU featuring programmable audio pipeline. This delivers a unique audio experience on PCs. By using AMD CrossFire™ technology, users can get exceptional performance scaling with a second GPU. And thanks to AMD Eyefinity technology, gamers can enjoy the ultimate immersive gaming experience with the innovative “wrap around” multi-display capabilities.